The highest buying spree from DBS alone which totalled $150.77m already toppled the monthly threshold of $100m. Buybacks in the Singapore Exchange (SGX) hit $245m as 44 million shares were repurchased by 30 stocks in August. Said amount is a 308% increase from the $60m worth of stocks bought back in August 2017. The August buybacks reached its 35-month high, according to SGX. Moreover, the half-month figures for August had already crossed the $100m threshold as it hit $116.5m. 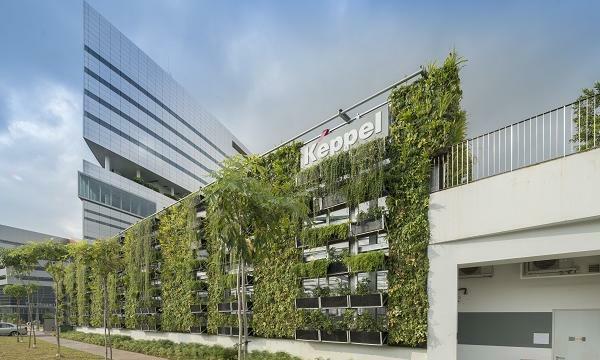 DBS led the buying spree with 5.95 million shares bought for $150.77m, followed by CapitaLand, which bought back 9 million shares for $38.07m, and UOB, which bought back 1.08 million shares for $29.3m. Maiden share buyback exercises were also transacted in August by some firms, including City Developments (CityDev), Stamford Land Corporation, and Singapore Shipping Corporation, amongst others. The June and July figures had likewise beaten the $100m threshold as firms bought stocks worth $174m and $109m, respectively, for the consecutive months. “A similar trend was observed for the first seven months of 2018 with the total buyback consideration of $948m, comparing to $228m for the first seven months of 2017,” SGX said. In July, UOB led the shopping spree with 1.23 million shares bought for $32.76m, followed by DBS, which bought back 585,000 shares for $21.55m. Non-STI stock Wing Tai Holdings also joined the shopping spree with 5.56 million shares brought back for $10.72m. 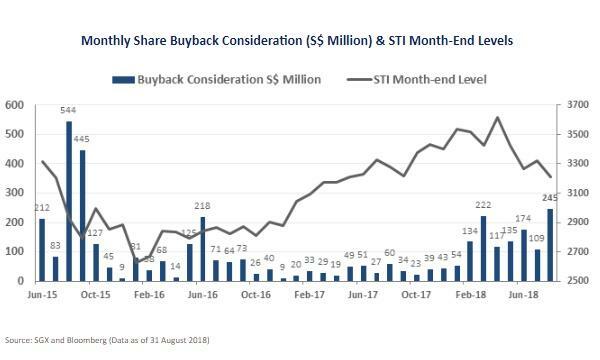 The buyback trend is good news for the local bourse, at least in the short run, as current shareholders effectively increase the percentage of ownership, Natixis chief economist for the Asia and Pacific Alicia Garcia-Herrero told Singapore Business Review in a previous interview. According to experts, Singapore’s buying spree follows the trend in other markets such as the United States. It basically means that companies prefer to reduce their future cost of capital by buying back shares now,” Garcia-Herrero explained.